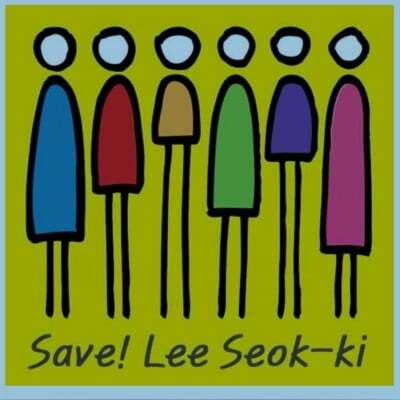 Appeal for the Release of Prisoners of Conscience in South Korea: Lee Seok-ki and Han Sang-gyun! Asian Forum for Human Rights and Development (FORUM-ASIA), one of the most prominent human rights organizations, announced the open letter to the government of the Republic of Korea to grant pardon to all prisoners of conscience including Lee Seok-ki, former lawmaker, and Han Sang-gyun, chairperson of the KCTU on December 10, 2017. “Over the years, the National Security Law, enacted in 1948, has been a widely used instrument of repression against any ‘anti‐government’ activities, or anyone voicing dissent against the elected Government. In most cases, if not all, charges under the Law have resulted in guilty verdicts, including that of Mr. Lee Seok‐ki (right). The application of the Law is fundamentally incompatible with the Republic of Korea’s international human rights obligations on the freedoms of expression and peaceful assembly. 1. Grant pardon to all prisoners of conscience who have been unjustly charged and sentenced to prison terms, including lawmaker Lee Seok‐ki and the six other former UPP members, as well as Sang‐gyun Han, the leader of the Korean Confederation of Trade Unions. The Government must stop all continuing investigations and detentions regarding these cases. 3. Review and amend all laws that restrict the rights to freedom of expression and peaceful assembly in the Republic of Korea. *6 leaders of religious groups in Korea, most civil society groups and human rights organizations are calling for unconditional release of all the prisoners of conscience. Amnesty International demanded the release of prisoners of conscience in Korea in the 3rd UN UPR, November 2017. *Asian Forum for Human Rights and Development (FORUM-ASIA) also announced the open letter to the government of Korea, which is a scathing address that the government should release unjustly detained prisoners of conscience according to the international standards of human rights if the government of president Moon Jae-in respects human rights. As we reaffirmed, the first step toward the development of human rights in the Republic of Korea will be ‘the release of all prisoners of conscience including Lee Seok-ki and Han Sang-gyun’.